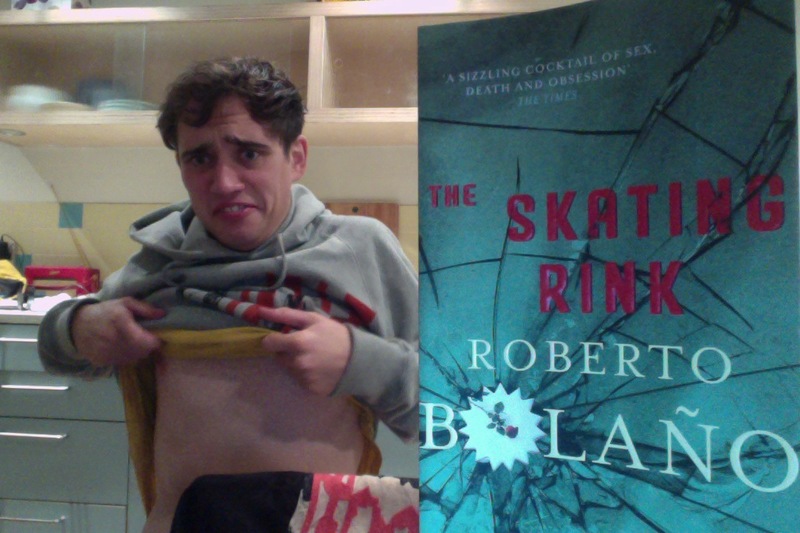 The Skating Rink, or La Pista Del Hielo, was Roberto Bolaño’s first novel. It was published in Spanish in 1993 and released in Chris Andrews’ English translation in 2009, after the author’s later works (and tragic death) had made him an international literary star. It is a short book (as most of his are*), and familiarly takes multiple narrators. There is blood, there are South American poets in Catalonia, there are some beautiful non-sequiteur descriptive passages, there are arresting images, and there is a pounding, pumping, plot and enough strong characters to keep a reader “hooked” throughout. But yes, good stuff. Don’t regret it for a second. Particularly not as a relaxing read after all of the school-related books from the last few weeks. Yes. *Except for The Savage Detectives and 2666, both of which are HUGE. **Who works as a night watchman on a camping ground. Sound familiar, Bolañofans?? ?